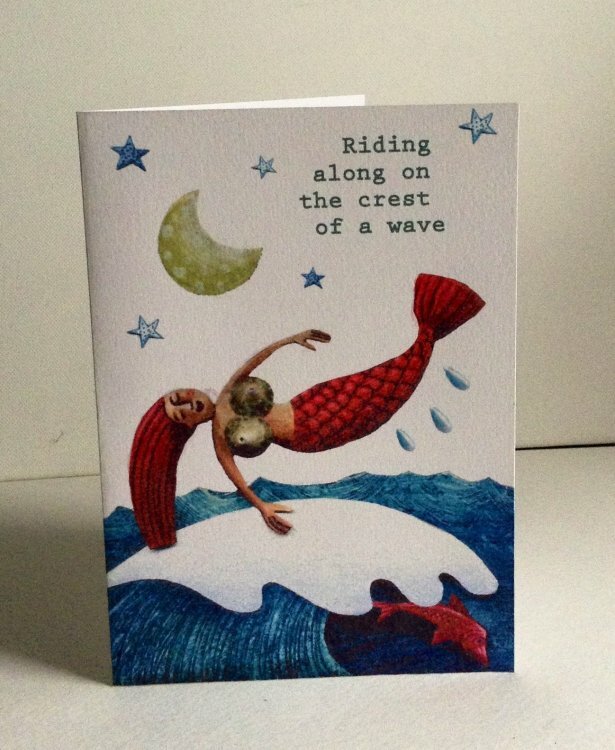 'On the Crest of a Wave' Mermaid A6 Card. Printed onto card and hand finished with acrylic varnish for a lovely sheen on the image. With envelope and plastic sleeve.